A minecrafter is what I am. At first glance, I already thought I would love it. And yes I did. And the day I played minecraft is the day that I knew what I was destined for; to play minecraft. 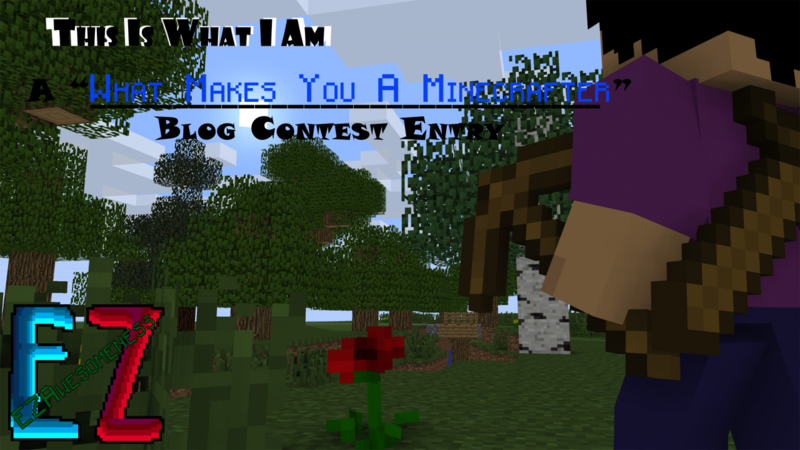 And “what makes me a minecrafter?” Simple, I play minecraft! But let’s dig deeper, as deep as bedrock. My story started at 1.5, when everything was still boring. When I first played minecraft, as expected, I was still a noob. Using lapis blocks ONLY to construct roofless houses. Using iron doors (without levers, buttons, etc.) and got so mad because it won’t open; took me weeks to figure out how it works, that it needs buttons/levers to open. As I progress, I made another world; I built a skyscraper, but again, made of lapis and glass blocks. The skyscraper is as higher than sky, without anything but lime carpets inside. And then I accidentally die (I switched to survival), and then I didn’t find the skyscraper again. And another world was created; a survival world, on flatlands. But of course, I lived in an NPC village. And as you expected; with cheats. That time I can’t figure out why there are no monsters; also took me weeks to figure out that I was on peaceful mode. And then I stepped up. First time I downloaded a map, it was featured on the best maps. “Hillside Manor by InHaze” YUP I still remember it. I have it working in my first time, wasn’t that hard though. Then I explore, I saw those jungle temples while exploring. I was like: “Is this a secret build by InHaze?” I’ve thought of that because it was far away from the main build, it was alone in the jungle, a snow jungle. Then I entered, I met some traps and 3 levers. I did nothing on the levers because I don’t know what they are. 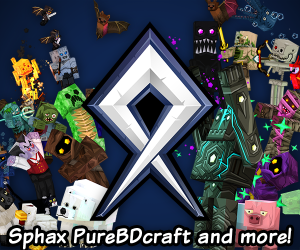 And then I downloaded texture packs, skins and mods. The mods made my life difficult. I searched all over YouTube to find out how to make them work. Haven’t found any, so I didn’t use mods. After a year, I tried again. I downloaded forge and mods. I was so glad it worked! Although I don’t remember what it is anymore. Then PMC showed up. I joined it then posted craps. After some months, I just realized I know have a high level. I joined contests, posted on forums, and got banned sometimes. And then after that, I found myself writing this story for the contest, hoping that readers (and fans?) would like it. And I think I should end this story right now, I might be running out of words. But this wasn’t the end of my story, it’s just the beginning. If you ever encounter this story; I hope this encourages you to strive more, like I did (did I?). But anyways, I hope you liked it. Subscribe for more, Diamonds are appreciated. And of course, G00DBy3!